Neil Barker, Leigh Centurions Business Development manager said "EDP came on board here last season sponsoring our Australian threequarter Mitch Brown. "We are delighted that this season we will see EDP's distinctive logo adorning the sleeve of our famous shirt. It’s so encouraging when when local businesses like EDP come forward with a genuine offer to support us." Andrew Nicholson, EDP Director said: “We got involved with the club last year through player sponsorship and a couple of one-off events such as the players’ awards night. Our experience was really positive and we liked the professionalism of the club when dealing with its commercial partners. “Having initially thought that we would do something similar again this season, we were really impressed with how the Neil Barker and other representatives of the club had not let relegation dampen down their passion for Leigh Centurions. In fact, we could see that it had actually ignited a greater desire to get the team back where it belongs as an established Super League club! “That was all the encouragement we needed to see, and we were happy to increase our involvement to become shirt sponsors for the first time." 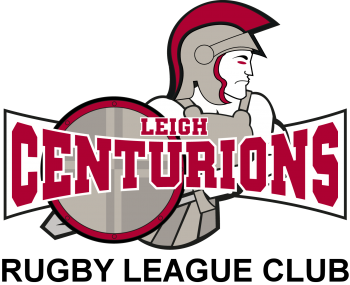 For full details of the announcement and more information about Leigh Centurions, click here.